2" Blue PVC Water Discharge Hose Assembly w/Pin Lug Female & Male Ends | U.S. Plastic Corp. 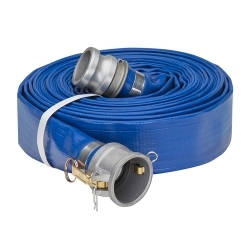 Hose ID is 2" and wall thickness is 0.063". Working pressure is 65 psi. 50' assembly weighs 13.5 Lbs. 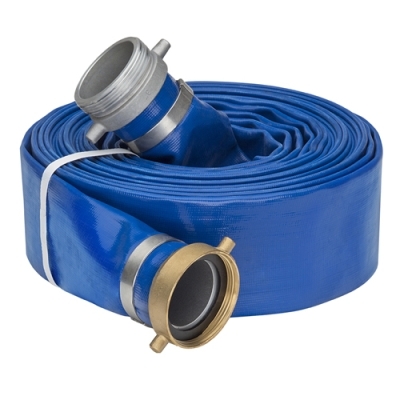 Hose assembly comes with one Aluminum Pin Lug Hose Shank with Brass Swivel Nut Female end and one Aluminum Pin Lug Hose Shank Male end.